The Holy Sacrifice of the Mass is the perfect offering made to God because it is Christ Himself who is priest and victim. Around the world, hour by hour, as the Eucharist is offered, Jesus’ sacrifice on Calvary and His Resurrection are made present, and His redeeming work continues for all. Christ told us, “Do this in memory of Me.” The benefits of each Mass are infinite and include the whole world. The Blood of the new and everlasting covenant was “shed for you and for all.” Those who have holy Mass offered and those for whom a Mass is offered partake in a special way of the grace of the Eucharistic sacrifice. 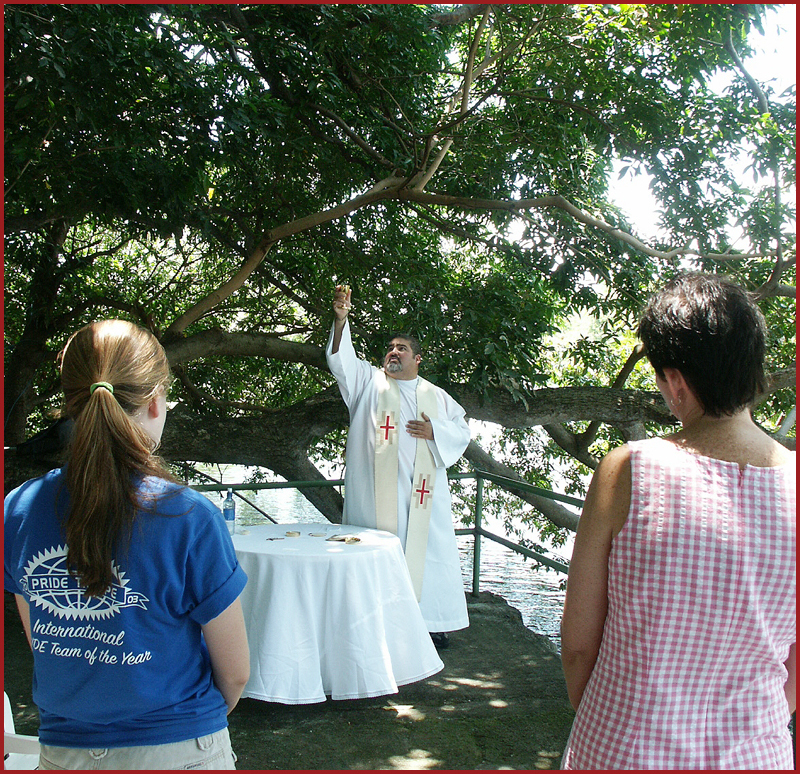 Spiritually, as you unite yourself with the priest who offers the Sacrifice of the Mass for your intentions, you share a bond of great strength: love of Christ in the Eucharist, trust in His love for you and faith in the power of prayer. Throughout the centuries, Catholics have followed the praiseworthy custom of requesting that Mass be celebrated for themselves, or for loved ones, living or deceased. A mission priest will celebrate Mass for you, or for a friend or family member, living or deceased. As the mission priest celebrates Mass for your intentions, he unites you with himself and his congregation - a clear sign of the universality of the Church! Your Mass Offering is a special help to a mission priest, poor himself and serving among the the poorest of the human family. For many mission priests, Mass Offerings are a substantial means of day-by-day support. 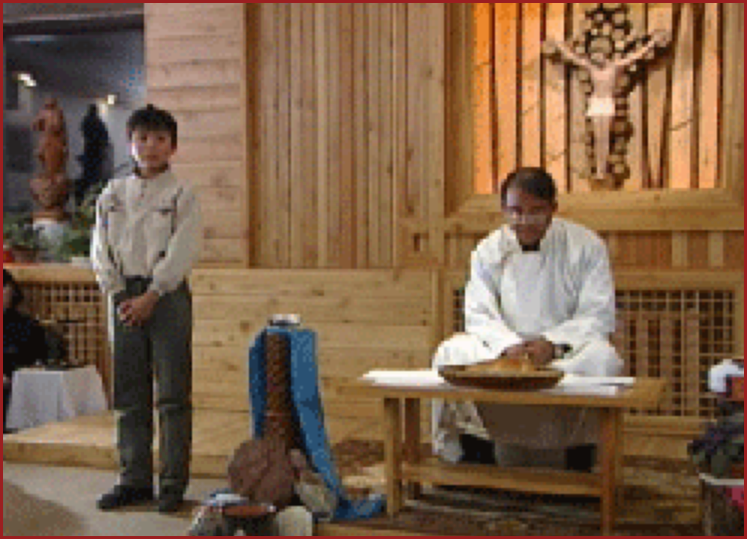 Mass Offerings are forwarded by the Propagation of the Faith to priests in the Missions. While we cannot arrange for Mass on a specific date, Masses are celebrated as soon as possible after offerings are received. 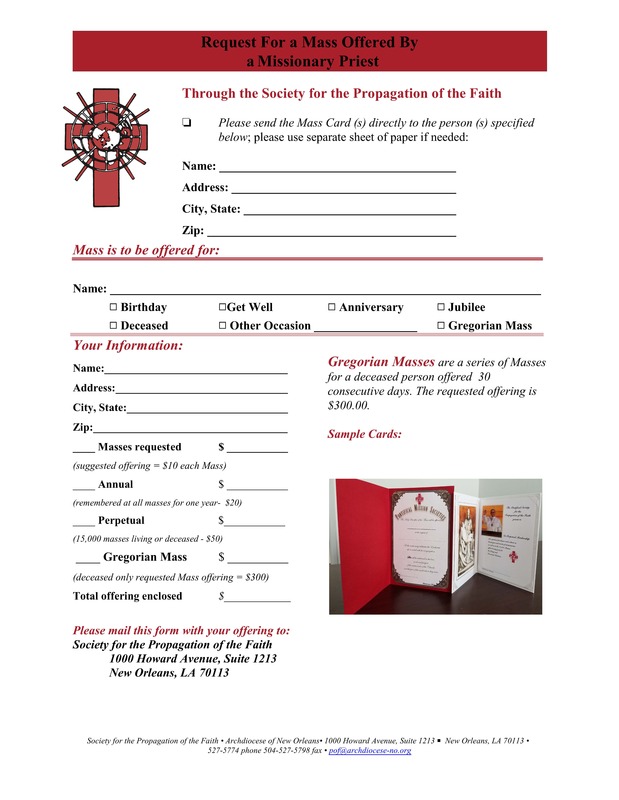 You may use the form below to request a Mass.